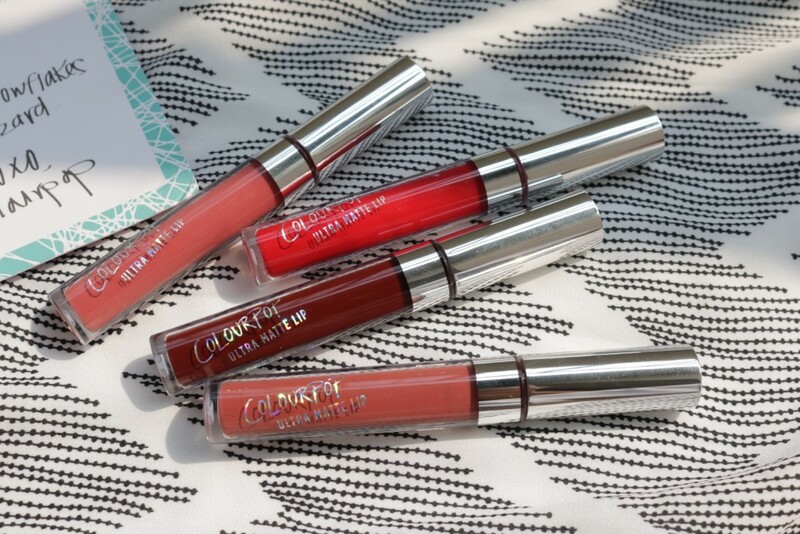 ColourPop Chilly Chili Ultra Matte Liquid Lipstick – described as a “muted plummy brown.”Intense coverage and the color lasts for nearly six hours. Slightly drying. 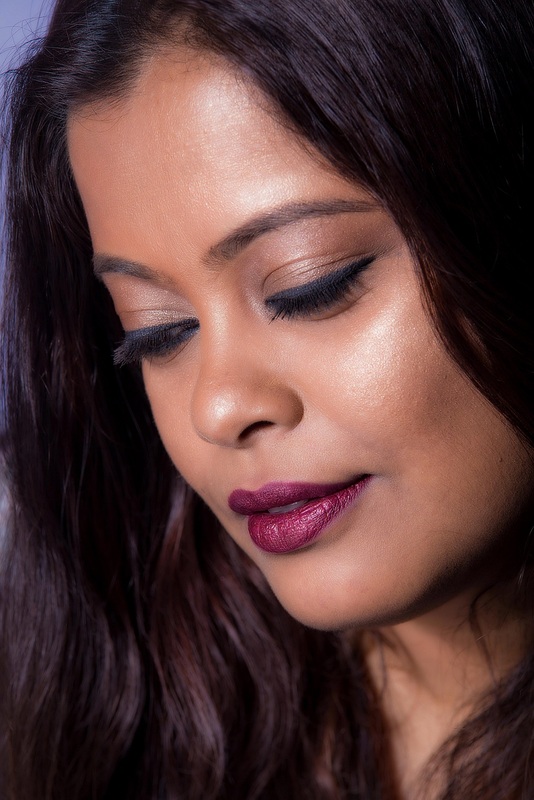 ColourPop LAX Ultra Matte Liquid Lipstick – described as a “vampy blackened red.”Gorgeous color and very similar to Jeffrey Star’s Unicorn Blood. Intense pigmentation but application is not that great. You need to put on atleast 2-3 coats to get an even finish. Stays for around 6 hours. 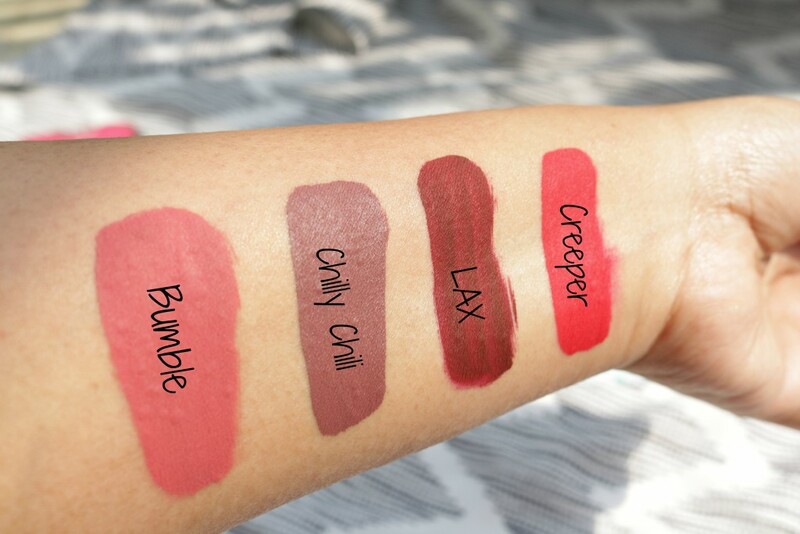 ColourPop Bumble Ultra Matte Liquid Lipstick – described as a “dusty warm terracotta.”. In the tube, Chilly Chili and Bumble look very similar but you can see the difference in the swatches. Bumble has more pink in it and is so pretty! Gives rich, opaque coverage that lasts for around six hours but it is quite drying. P.S – I got three more Ultra Mattes including two from the KaePop collection so stay tuned for that post! wow its such an awesome colourpup..
Ishita recently posted…My January 2016 Favorites! How much did you pay for one ? Wowww lippies Dolon! I sooo want these babies in my kitty! Where did u get ur colourpop from?